ALAMEDA — The Regional Taiko Gathering: Bay Area will take place Sunday, July 17, from 10 a.m. to 6 p.m. at Rhythmix Cultural Works,2513 Blanding Ave. in Alameda. 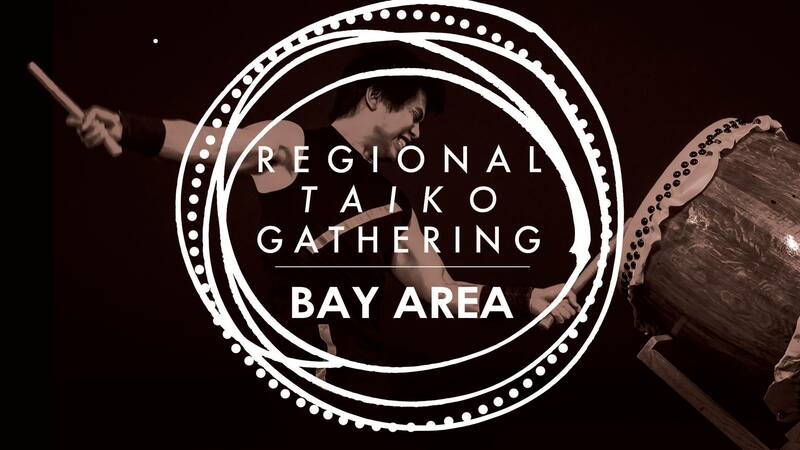 This will be the first regional taiko gathering to take place in the Bay Area, the historical birthplace of American taiko. RTG: Bay Area aims to coalesce the Bay Area taiko community by creating an inclusive space where taiko drummers with a range of backgrounds can meet each other, share ideas, and have new experiences. The event will feature “non-taiko workshops for taiko drummers,” (a series of workshops in rhythm and movement curated for taiko drummers), a community building event, a taiko jam session, a showcase for local youth taiko ensembles, and lunch. Email [email protected] with any questions or sign up for the mailing list at http://bit.ly/rtgbayarea-email-list for the latest news and updates. “Body Percussion” with Keith Terry, a pioneer of “body music” and frequent cross-cultural collaborator. He has worked with both Kenny Endo and San Jose Taiko many times, and served as the Cultural Council Fellow in Kodo’s apprenticeship program. His artistic vision has straddled the line between dance and music for decades. “Sam-Go-Mu” with Kyoungil Ong, a dancer, choreographer, and the director of Ong Dance. She will be introducing sam-go-mu, a genre of Korean dance-drumming that served as an important source of inspiration for Oedo Sukeroku Daiko as they developed Yodan-uchi. “Music of Steve Reich” with Galen Rogers, who studied taiko for 10 years at the San Francisco Taiko Dojo, co-founded Oberlin College Taiko, and is now the director of Jiten Daiko. Participants will investigate some of the iconic compositions/ compositional devices of Reich, the influential American minimalist composer, and develop their own minimalist masterpieces. “Awa Odori” with Kristi Tsukida, a member of Jiten Daiko and SF Awakko-Ren, and co-founder of Fue of the Bay. She’ll be introducing participants to the music and dance of the Awa Odori Festival, one of the largest dance festivals in Japan. “Axis Syllabus” with Sebastian Grubb, an award-winning fitness trainer and dancer in the Bay Area. He is also a certified instructor of the Axis Syllabus, a collection of movement principles derived from kinesiology and physiology that teach skills for moving in a way that is strong, efficient, and safe. “Zimbabwean Marimba” with Tina Blaine, one of the founding members of Maze Daiko and executive director at Rhythmix Cultural Works. She has performed and led workshops around the world, and her work with interactive multimedia percussion has been featured in galleries and magazines across the country. She’ll be showing the basics of Shona marimba, an energetic style of polyrhythmic xylophone music originating among the Shona people of Zimbabwe. Niseishin Daiko was established by Becky Shingai in 2009 as an extension of Hinoki Taiko of San Jose. Most students come to Niseishin Daiko having received instruction for one to three years from Ikuyo Conant of Watsonville Taiko and Shinsho Mugen Daiko. Shingai and Conant Sensei share teaching responsibilities and creative direction for this group of 20-plus budding taiko players, and have led their ensembles to perform at school assemblies, conferences, expos, and other events throughout the Bay Area. Niseishin Daiko is based in Morgan Hill at the Renkishin Dojo. BCSF Kids Taiko is a youth taiko program directed by Jiten Daiko, an affiliate of the Buddhist Church of San Francisco. The program focuses on the joy of taiko and ensemble skills such as listening and timing, improvisation, and composition. Regional Taiko Gathering: Bay Area is proud to be sponsored by the Buddhist Church of San Francisco, Jiten Daiko, and Asano Taiko U.S.